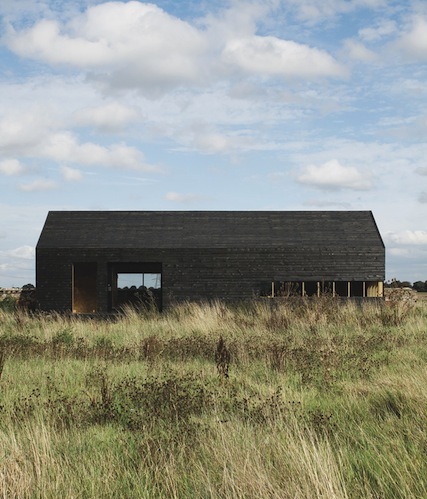 Turner's rural Norfolk retreat - noted for it's agrarian minimalism. A barn conversion combining the old and new. The new rendition only cost $48,000 to build. 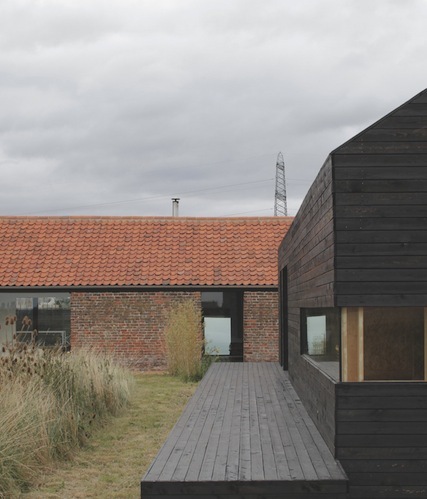 Stealth Barn is a project that sits next to and complements Ochre Barn, a large threshing barn converted by Carl Turner Architects to a home and studio. 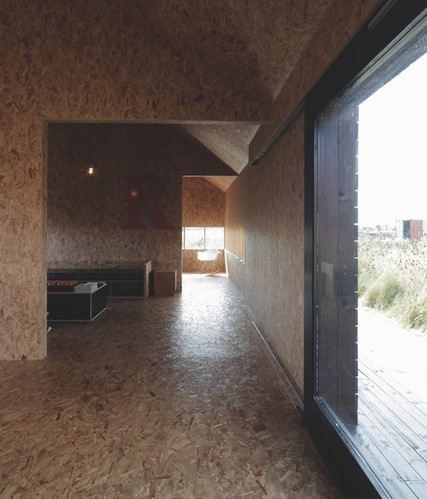 This addition was to provide a self-contained unit that could equally act as a guest house, studio or meeting place, depending on time of year and workloads: a retreat, but also a place of inspiration, enjoyment and a place of work and home without compromising the experience of either.&nbsp;The 'stealth' barn was supplied as a shell and then finished off as a DIY project; outfitting the interior with resin panel board and the exterior with a farmers quintessential black tar. Turner's original low slung barn built from brick and clay shingles originated in the 1850s. The only distinguished path linking the old and new is a strip of mowed grass amongst the fortified wall of wild landscape. From the vast inset windows to the contrast of newly created and newly renovated; this is one of our favourites.